Apr 2019 - Jun 19 walks. 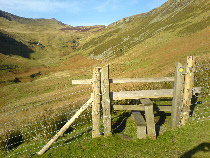 ANNUAL MEMBERSHIP of the Midland Hillwalkers is FREE until further notice. unforeseen circumstances, so we can often offer those on the reserve list a place on the walk. If you are on the reserve list please keep checking your emails daily as you may lose the offer of a place if you do not reply promptly.